Do you set your goal to buy an indoor electric grill this year? It’s a difficult task to get the best grill. No problem we can help you with that. We find the Excelvan indoor electric classic plate barbecue grill for you. Electricity is the power source of the electric grill but it works like the other grills. A metal heating plate is a material that becomes hot to grill the foods. So, the Excelvan made with safety. Most of all, drip trays can able to clean easily. The adjustable temperature settings help to set the temperature. So, don’t get confused to buy the Excelvan grill. Why should you Choose an Excelvan Indoor Electric Classic Plate Barbecue Grill? Why is the Excelvan Indoor grill the best? This is a vital question to the user. There are two types of a grill in the market. 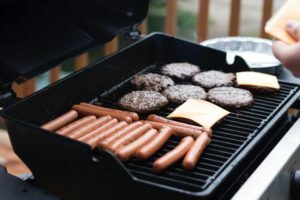 Electric and gas grill are the two types. Yet, you often choose the Electric grills. 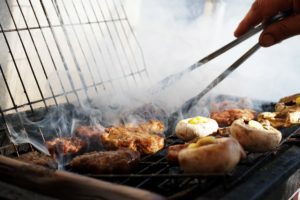 The activities of the electric grills are popular to all. We declared it as one of the best grills on the market. Let’s discuss the causes why is it the best. It can save your time by cooking faster. The adjustable temperature setting can adjust your grill while using this. It has an extra-large cooking area that can help you to cook many foods at the same time. The grill can cook healthier foods with natural flavor. It is easy to wash and carry. It has a large cooking surface that is able to many ingredients at a time. The Excelvan has a grill plate and a different heater. Cooking area of the barbecue grill is ribbed design. It helps to heat the grill plate. The cast aluminum grill plate protects the heater. Foods that are cooked on the grill are healthier. The non-stick surface helps the food free from oil and grease. The surface is easy to clean for its non-sticky characteristics. There are three elements of the grill. They are ribbed design surface, non-sticky cooking area, and drip tray. The grill is for both indoor and outdoor cooking. You can cook many foods at the same time. The grill can cook fish, burger, chicken, and vegetables etc. This is an electric indoor grill with a weight of 7.2 pounds. Made with aluminum, non-stick metal and finished with stainless steel metal. It has a 2.8m long chord and the power needed is 1120w with 120v. The Excelvan has an affordable price for the customers. It has the simple and perfect design to carry everywhere. The temperature settings with the adjustable system make it great. Non-sticky and large surface for cooking. The grill has a simple assembling system. Power cord of the grill is long. The cooking area of the excellent is ribbed design. It’s a safety device to work with. Temperature knob is not in the degree labeled. Thicker foods may not be enough hot. Preheating time: 10 to 15 minutes. – Plug in the power cord of the Excelvan. 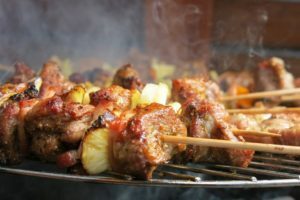 – Take up to 15 minutes to preheat the cooking surface of the grill. – There is an adjustable range of the electric heat. The low range is for warming food and high range is using to sear steaks. Adjust the temperature according to your need. – Pour water into the drip tray. – Clean the cooking surface with care. The customers have an interest in the customer review section. Thus, you can take a lot of information from the part. So, don’t avoid the customer review of the Amazon.com. 59% customers give 5-star, 20 % provide a 4-star rating, and 8 % give a 3-star rating. 5% gives 2-star and 8% give a 1-star rating. As a result, a customer writes that it’s a remarkable grill and it makes sense. Steve Landis the other customer writes that it crosses all their expectation. He also told it’s a great product. Another customer wrote that it’s amazing for indoor steaks. You can also read the other reviews from the buyer. The review can help you to take the right decision. Ques. 1: Does the Excelvan create smoke? Ans. : For the first time, it may create smoke. But the from the next it doesn’t create smoke. Ques.2: How long the power cord of the Excelvan indoor grill? Ans. : It is 41 inches long. Ques.3: How much is the grills weight? Ans. : The grill is 5.5 pound. Ques. 4: Does the grill affordable? Ans. : Yes, it’s affordable. You can afford to buy this product. Ques. 5: What type of food can cook this grill? Ans. : The Excelvan grill can cook chicken, vegetables, fish, burgers and etc. Ques.6: Does the Excelvan have a cover? Ans. : No, it has no cover. You can easily store it in your cabinet. Ans.7: What is the size of the cooking area? Ans. : The cooking area of the grill is 15x10inch. Ques. 8: What included in the package? Ans. : – 1 piece of Excelvan grill. – A piece of Drip tray. – 1 piece of a user manual. Ques.9: What type of temperature settings of the grill? Ans. : There is an adjustable temperature setting. It can adjust the temperature from low to high. The Excelvan indoor electric classic plate barbecue grill can give the user satisfaction. Finally, we can say it with confidence. But, simple design, long power cord and adjustable temperature make it unique. So, buy now the Excelvan with close your eyes from Amazon.com. Enjoy the excitement of grilling.